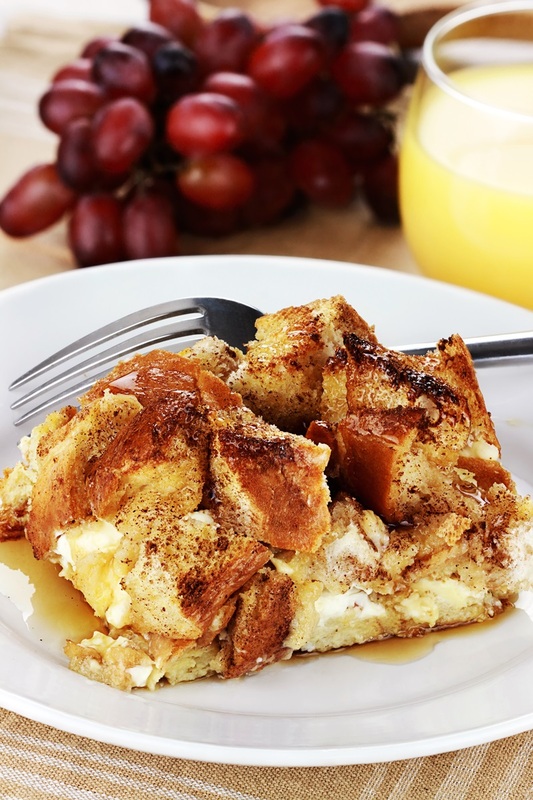 This recipe for cinnamon raisin French toast casserole was shared with us several years ago by Allyson Carter for the Spring Fling Recipe Contest that we co-hosted with So Delicious. Allyson makes it dairy-free and gluten-free with some delicious ingredient swaps. 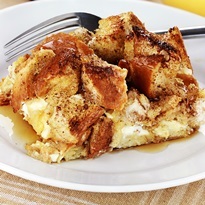 This gluten-free French toast casserole says spring to me, because I had to come up with some amazing and easy recipes to serve at our family’s spring brunch celebrations that were delicious and suitable for my family’s gluten and dairy free lifestyle. 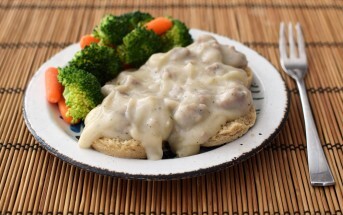 Here are some tips for making substitutions and finding the right ingredients for this recipe. It’s great for a lazy Sunday, a special brunch, or even Easter morning! The Bread – Some specialty brands have gone away since Allyson first shared this recipe, but there are still some great bread options. Canyon Bakehouse, Udi’s, Little Northern Bakehouse, Ener-G, New Grains, and Glutino each have dairy-free, gluten-free cinnamon raisin bread. You can substitute another type of bread or even wheat-based bread if gluten isn’t a concern for you. The “Butter” – You can use any brand of dairy-free buttery spread or sticks, or in a pinch, you can use your favorite baking oil. If you opt to use coconut oil, make sure all of your ingredients are at room temperature before blending. If the mixture is cool, the coconut oil will solidify into little chunks. The Sugar – Allyson uses coconut sugar to go with the coconutty theme of her ingredients. But you can use brown sugar or your favorite granulated sugar in a pinch. 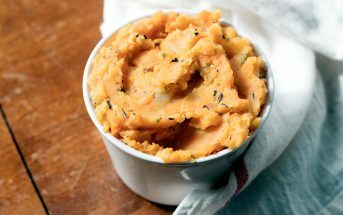 By ingredients, this recipe is dairy-free / non-dairy, gluten-free, nut-free, peanut-free, soy-free, and vegetarian. Technically, you could use any almost any bread to make this casserole, but cinnamon raisin makes it a real treat. Put the bread cubes in a 13x9-inch casserole dish. 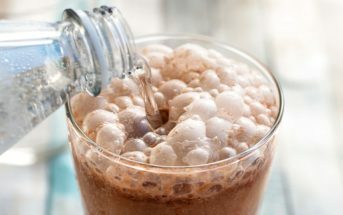 Put the eggs, milk beverage, creamer, sugar, buttery spread, cinnamon, and salt in your blender and puree until combined. Pour the egg mixture evenly over the cubed bread. Bake for 40 minutes or until the top is golden brown and center appears set. For More Dairy-Free, Gluten-Free Recipes, Get Eat Dairy Free! This looks perfect for a gluten free Easter brunch! And I LOVE Canyon Bakehouse products. Definitely my FAVORITE gluten free bread on the market. Has anyone tried making with almond or soy milk & creamer? I would use a 9×13-inch pan. It should work just as well with the almond or soy versions! This looks scrumptious!! I can’t have eggs though, so would you be able to tell me how to adjust this recipe to exclude the eggs? Would I use nutritional yeast and if so, do I alter any of the other ingredients? Thanks!! Hi Georgiann, it would require additional modifications, such as added moisture, since it is a casserole. I couldn’t confirm a sub without trialing myself.